2 Pretty long mixed beaded necklaces. 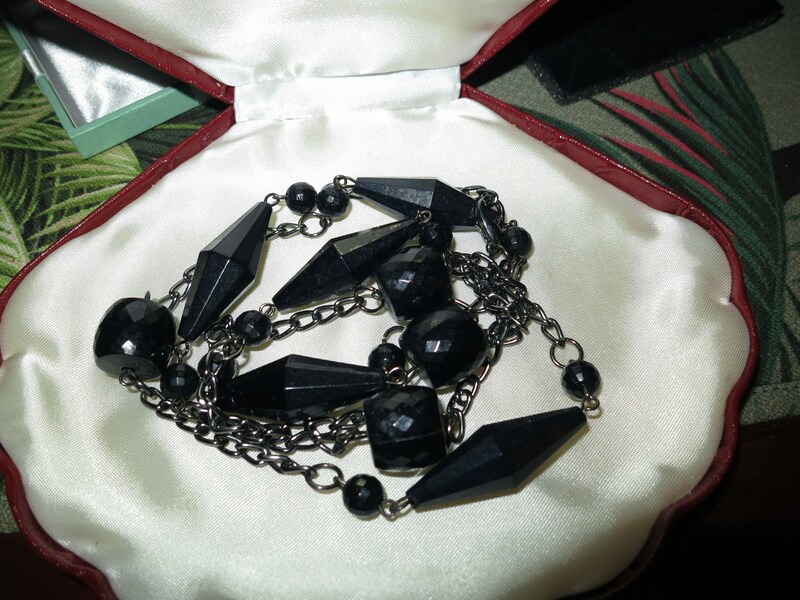 One is gunmetal grey chain with mixed faceted black beads. 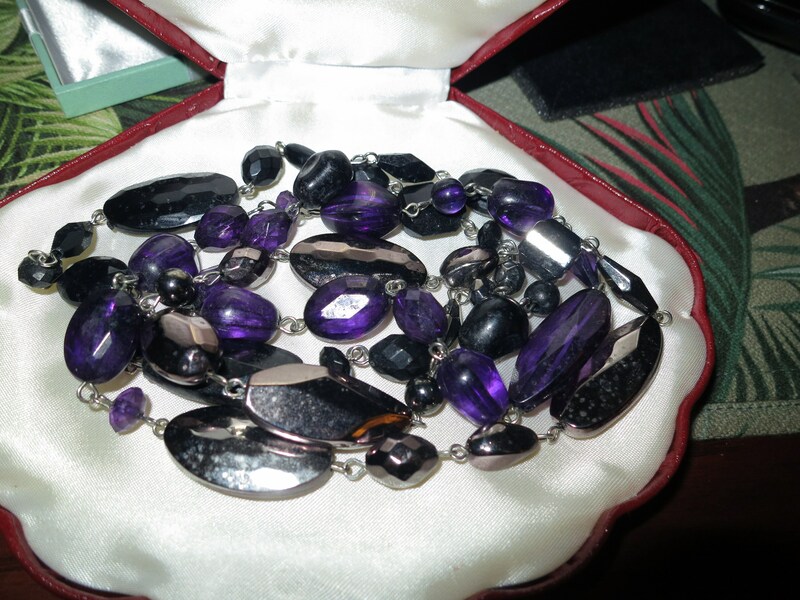 The other is mixed shaped beads in silver/grey metallic colours, black and deep purple. 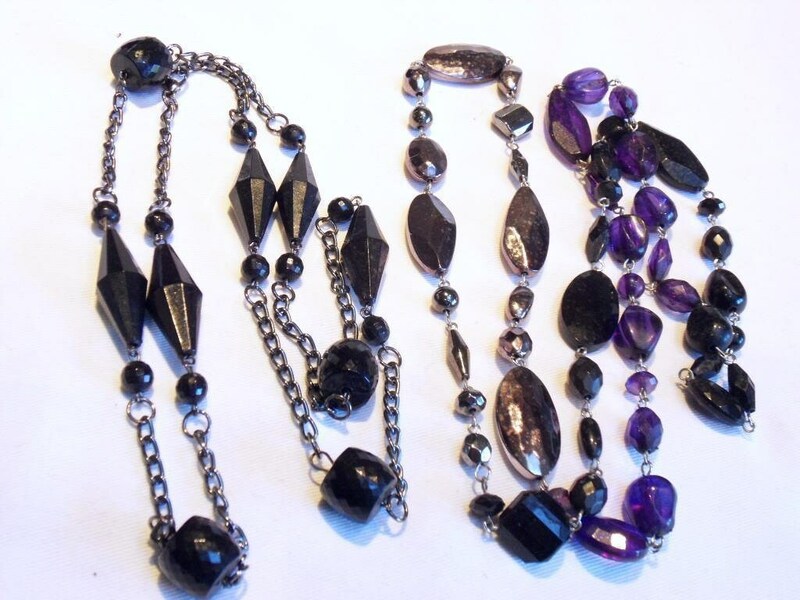 Clasp: No Clasp on deep purple and black, lobster clasp on gunmetal/black necklace.